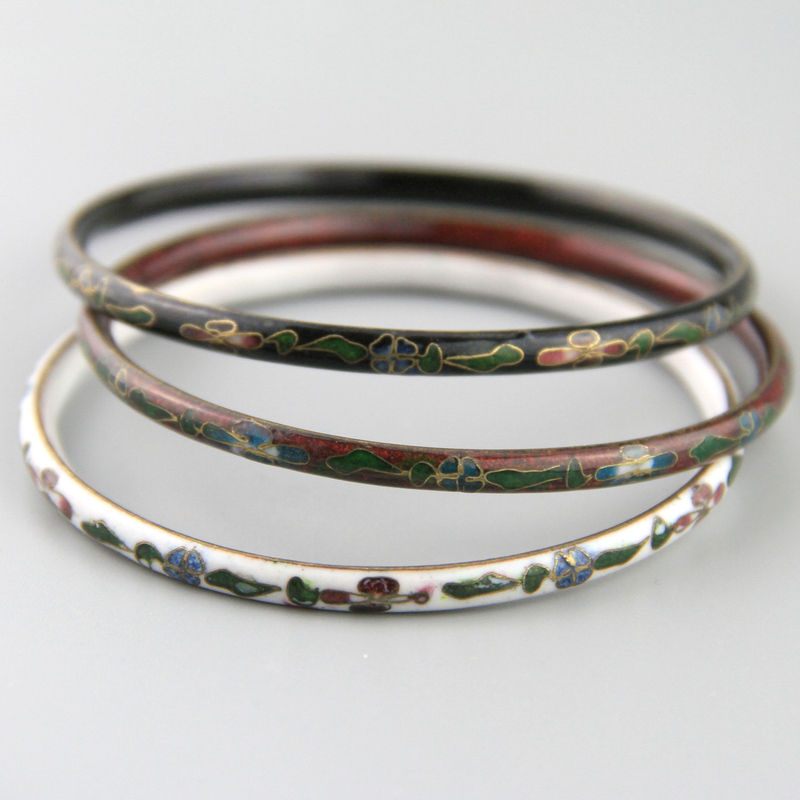 Pretty, original 1970's set of three cloisonné vintage bangles. 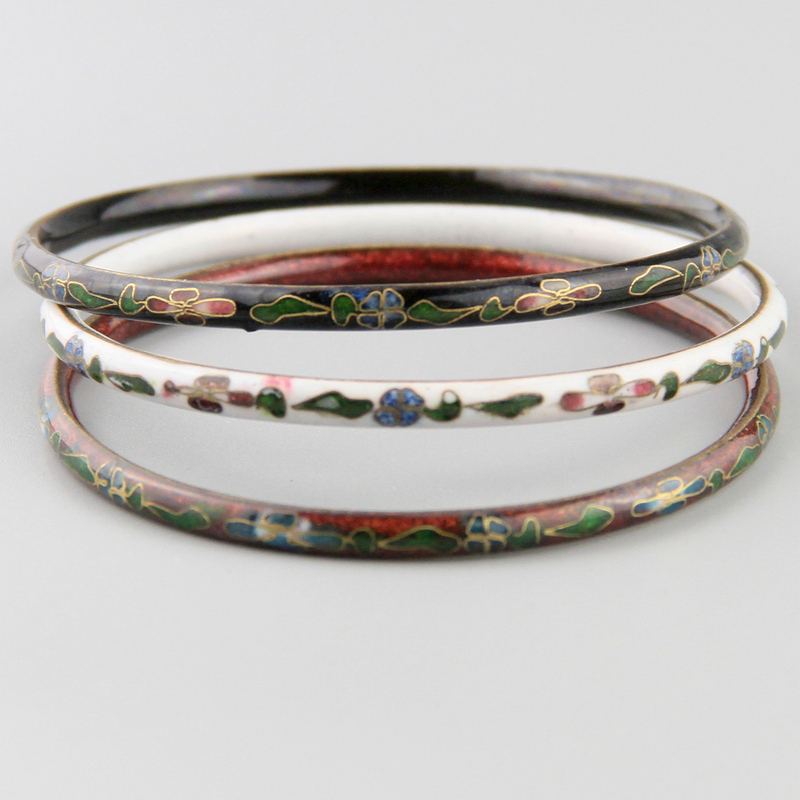 Lovely fine enamel work, these are very slender bangles, two white, a black and a deep red. 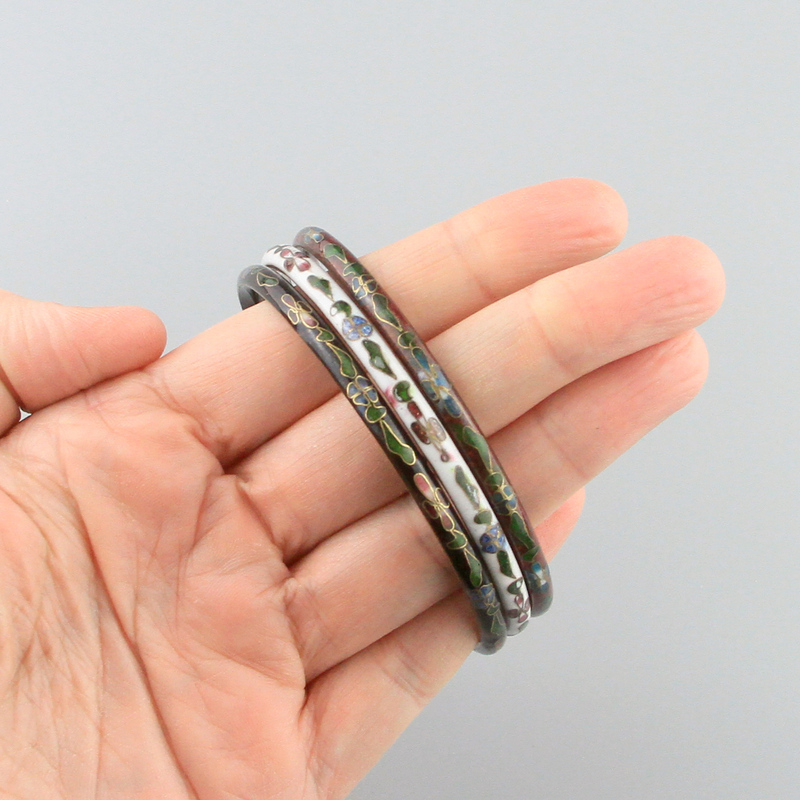 Look nice on their own or worn stacked. Inner circumference 20cm, 0.4cm wide. Spectacular vintage condition. Shows mild wear commensurate with age, no scratches or chips. Enamelling is the fusing of powdered, coloured glass to metal under very high heats. There are many different enamelling techniques - Cloisonné decoration is formed by first soldering or adhering silver or gold wires to the base metal in a pattern to create compartments which will remain visible on the surface when the process is finished, these areas are filled with coloured enamel and fired.